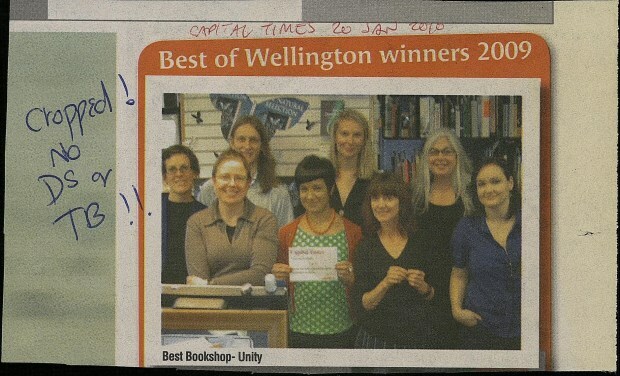 Capital Times published this photo of shop staff to accompany the announcement of their “Best Of Wellington 2009” winners. An article about staff member Karin Lundgren’s side business making jewellery. 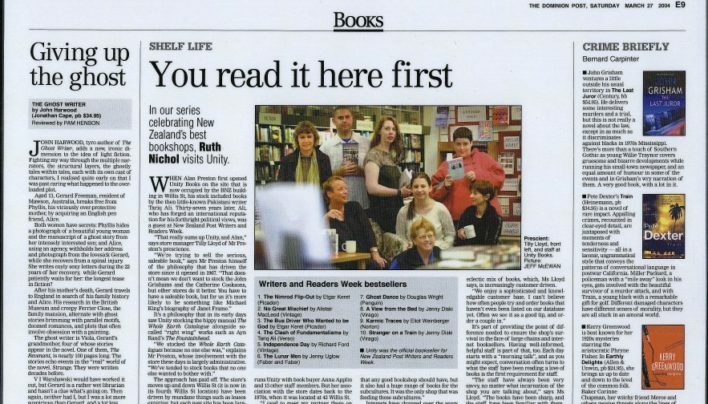 Unity Books as profiled by Ruth Nichol in The Dominion’s Shelf Life section.